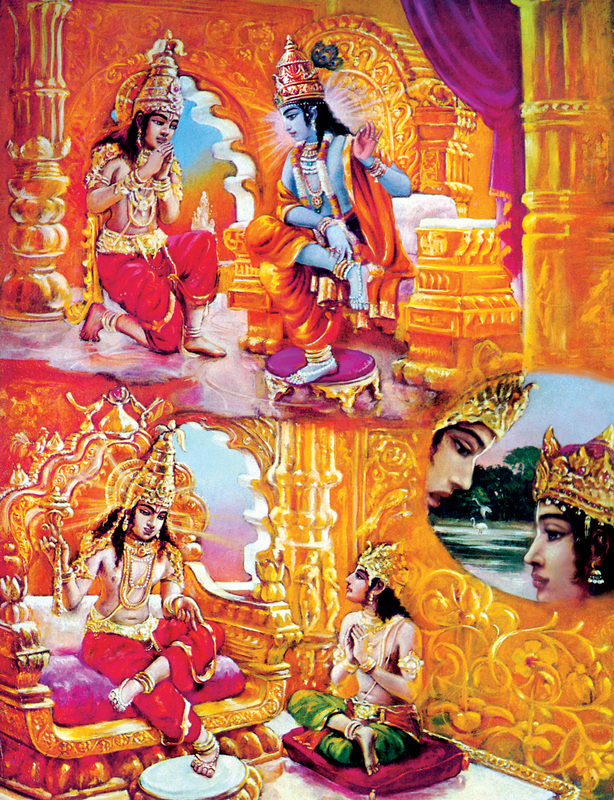 Bhagavad Gita Art Gallery--Plate 15: The Blessed Lord first instructed this imperishable science of yoga to Vivasvan.. The Blessed Lord first instructed this imperishable science of yoga to Vivasvan. PREVIOUS Bhagavad-gita 4.1 At the top, Krsna teaches the science of Bhagavad-gita to Vivasvan, the sun-god. Below Vivasvan teaches his son, Manu, and in the circle at the right, Manu teaches his son Iksvaku.